Posted on July 24, 2015 at 4:59 pm. 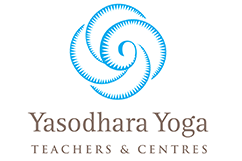 Yasodhara Ashram invites in people of all ages and backgrounds, offering tools to clarify their specific direction. In this issue we are pleased to present a variety of perspectives of the Ashram from an array of people, including a dedicated change-maker travelling the world, a local artisan with an enduring lifetime connection, parents who return with their child for Family Week, and a couple exploring 20 years of marriage in the Relationships course. The Ashram offers many ways in, like a prism breaking light into a rainbow spectrum of colours, or like the metaphor of Siva and Sakti, where the one Energy appears in myriad manifestations. As we move forward with the Temple rebuild project, Swami Radha’s original vision is even more alive and re-energized. The Ashram extends refuge to people from all traditions seeking liberation from limiting concepts. We meet in the Light at the centre. 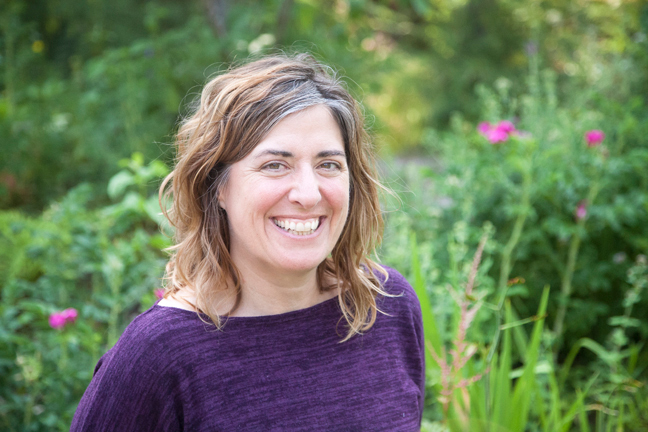 Vanessa Reid works internationally in countries undergoing change and returned to Yasodhara Ashram to focus on her own Light in a Writer’s Retreat. She offers her perspective of the Ashram’s role in the world today. 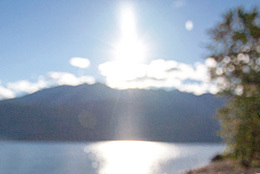 Yasodhara Ashram knows how to hold people in the big transitions in their lives because there is a spiritual architecture here – both visible and invisible. It creates a strong container. I feel held here by the deeper, unseen levels: the structure and pacing of each day, week and season. Hatha, silent meals, Karma Yoga, satsang all join my body with the collective body and with the lineage. This brings me back to myself so I can go out into the world. We need places that have strong foundations in order to live the chaos. The Ashram has been held with such intention for so many years. It very consciously stewards a relationship between people, practice and the land, so we can be in partnership and learn with the less visible intelligences in and around us. The Ashram practices transitions regularly and so it lives the practice over generations. This kind of learning and continuity allows the dance between the visible and the invisible to be lived in a really conscious way to inform our way forward. 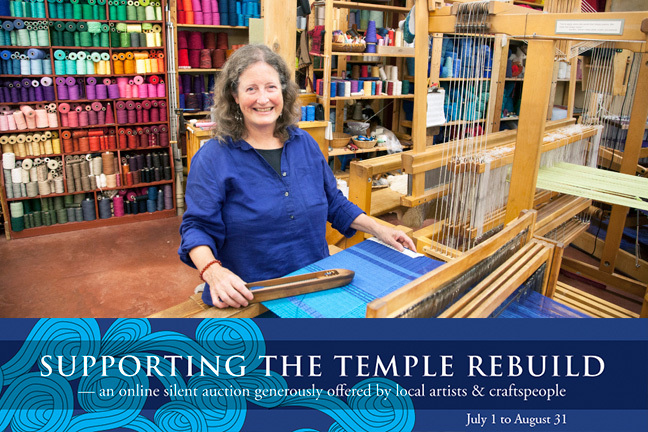 Bidding continues until August 31 on the Online Silent Art Auction to raise funds for rebuilding the Temple of Light. We’ve raised $4,000 so far and you can help it go higher! Janet Wallace, one of 18 artisans who donated items, runs Barefoot Handweaving in the artisan-rich community of Crawford Bay 10 minutes from the Ashram and reflects on her experience. 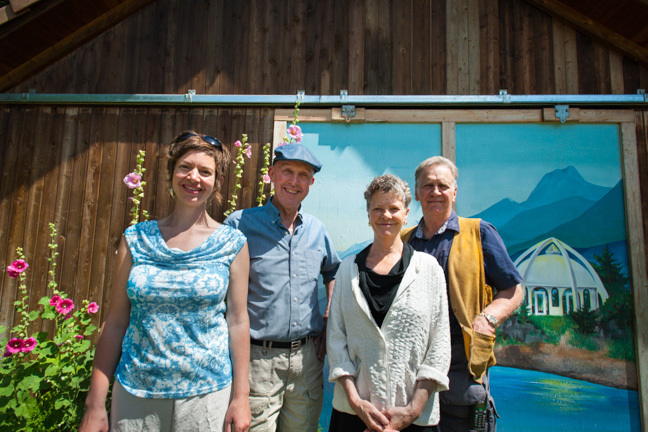 This community wouldn’t be the same without Yasodhara Ashram. It’s an inspiration – spiritually, environmentally – and an anchor business. My connection with the Ashram has provided the opportunity to explore myself and to develop tools for self-awareness for over 30 years. Wednesday night Hatha and Dreams Community Classes are sacred for me. Our four children did the teen program for about 20 continuous years and my husband/artist Ted worked on the first Temple for three years. The Temple of Divine Light wrap that I donated to the auction was designed on paper, then on the computer. I wanted the arches of the Temple in the design, and it evolved for one arch to show. I always appreciated Swami Radha’s vision of all religions coming together and the lights of the outline are subtle on one side and more intense on the reverse of the deep purple chenille. The Temple was my place to get washed clean. I am happy to contribute my art to the Temple rebuild to help others who need "Temple baths" too. Bhakti Pack: Dance & Movement, Mantra & Meditation: Bhakti Yoga is the yoga of devotion. The Path of Bhakti is said to be the quickest way to the Divine. In this Signature Series, you will dedicate five days to dance offerings, chanting, prayer, silence, worship and meditation. Discover what unfolds when you open your heart. Tools for Transformation Retreat: In this spacious retreat you will learn new ways to support yourself in making changes that reflect your ideals. Each day includes instruction, group work and plenty of personal time for reflection and practice. Instruction focuses on our core practices such as the Divine Light Invocation, Mantra, Relaxation, Dream Yoga and Hatha Yoga. Learn to use tools that will help you make key transformations in your life. The Yoga Development Course: The YDC is an intensive three-month program designed to give students an in-depth introduction to the major branches of yoga and a foundation in personal and spiritual development. The course is of lasting value to all those who wish to deepen their yoga practice and make permanent changes in their approach to life. Senior teachers take the teachings to Eastern Canada this fall with a weekend retreat plus workshops in Toronto, Ottawa, Montreal and Halifax. Plan now to attend; tell a friend. The new Temple project is evolving from the conceptual to the pre-construction phase, with the work now in the hands of an experienced construction management company – AHC Group from Burnaby – in collaboration with the architects and engineers. AHC is currently researching actual cost estimates for all aspects of the project. As the Temple evolves, so does the group stewarding it on behalf of the Ashram. Swami Sivananda and Swami Premananda are now taking the lead in the Temple hub. Both come with a valuable perspective for this stage with combined building/engineer experience, history of the original Temple, maintenance awareness, environmental and quality standards, and knowledge of the impact of the Ashram’s geographical isolation to costs and labour. Their practical sense supports the current shift from concept toward the manifest. Together the Temple hub, which includes Swami Lalitananda and Paris Marshall Smith, will help to hold the Patkaus’ design and all that emerges to create this innovative build in the Kootenays. Click here to see how you can help support the new Temple of Light. 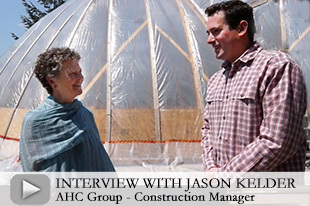 In this three-minute video, Swami Lalitananda talks with Jason Kelder of AHC about their role in moving the new Temple of Light forward. For the Mackin family of Calgary, the Ashram serves as "a reminder and a learning" of what is important in life. 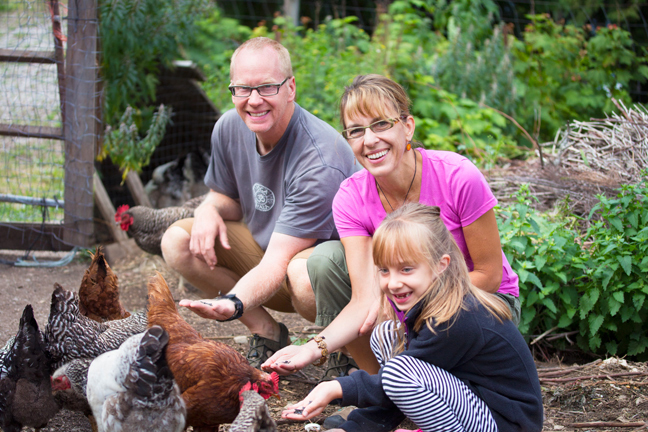 "Family Week at the Ashram is an amazing experience of giving back for our daughter, Laura, 7, and for us as a family," say Holly and Jamie. "We thought it important to teach her about that at a young age. Being at the Ashram also teaches her about community. She understands that there are a million jobs to do and everyone has to step up." They also chose the Ashram for the spiritual exposure it provides their daughter. And ultimately they know "she’ll remember the friends from camp." Jamie experiences Post Traumatic Stress Disorder from his peacekeeping career and connected immediately with the Ashram’s peacefulness during their first Family Week last year. He followed it up with a Stilling the Mind workshop. "Something just switched for you," Holly comments. "I went inward," Jamie agrees. "I know I want to spend more time here. It’s probably going to happen with greater duration and frequency." 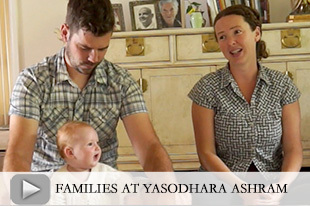 Yasodhara Ashram has historically been a place for families. Swami Radha said early on, “I felt that young couples needed all the support and that any country’s future lies in their youth. So we ought to give something to the children and the young parents.” In this 10-minute video, you will hear from Swami Radha as well as from children and adults as they enjoyed Family Week 2015. Listen to the music of talented musicians who joined us too! When Tony and C.N. 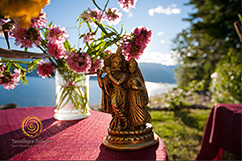 Dunne of Oregon thought about doing something special for their 20th wedding anniversary, they chose Yasodhara Ashram. Their four-day stay – Tony’s first visit and C.N.’s "homecoming" – created a new bond between them. "We wanted to bring a spiritual focus into our lives," C.N. notes. "Now we can do the Divine Light Invocation together, with a renewed commitment to do it more frequently and with each other." The timely Relationships: Challenge and Choice workshop was, they said, "perfect for us." 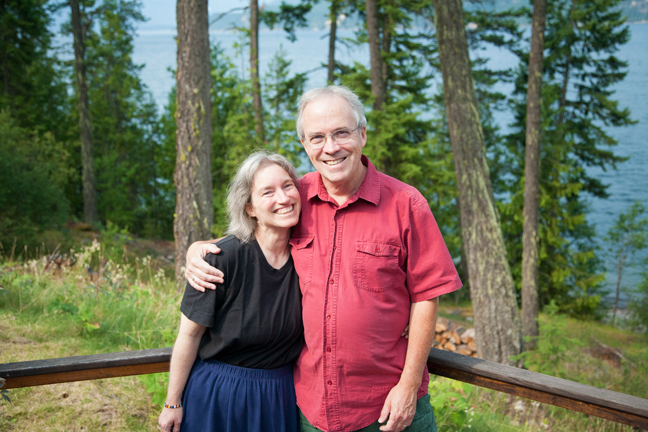 Life at the Ashram inspired the couple. "The fact the Ashram is going strong after 50-plus years makes it an example of doing a lot right. The spiritual aspect. The environmental aspect. You have a lot to show others. The Ashram is very different than a resort. Here everybody is working toward a common goal of serving." "I loved how there are so many different people here from different backgrounds, but they’re all there for one purpose – all focusing on the Light," reflects Tony. They agree, "Here, the atmosphere aligns itself to the objectives. It’s very restful – so quiet and peaceful. This takes a lot of work – and a lot of love." New Brahmachari – In a beautiful ceremony on Friday, July 10, Janet Brown was initiated into Brahmacharya by Swami Radhananda and has taken the name of Lakshmi. May Lakshmi continue to grow into the Light and manifest the qualities of her name: beauty, harmony and abundance. "I’ve been given so much abundance through the years," Lakshmi comments. 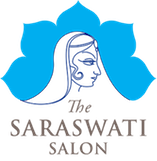 See more about Lakshmi and her Light-filled paintings in The Saraswati Salon. World-Renown Retreats – The Ashram is well known for retreats of all kinds. We were recently featured as one of the 22 Best Yoga & Wellness Retreats Around the World: Our Yasodhara network is promoting our Artist and Professional Retreats with a beautiful new postcard. We appreciate the support of Arleen Pare, winner of the Governor General’s Award for Poetry in 2014 and a friend of Yasodhara teacher Patricia Hurdle, who is sharing the postcard on her cross-country travels. If you would like copies of the postcard or an email version for your contacts, let us know at communications@yasodhara.org. Conscious Aging for Everyone – Six women delighted in the July Conscious Aging workshop as a time to pause and reflect. "To look back at our lives, celebrating our growth and make plans to be more deliberate about our future, was very valuable," commented Sheila Thomsen of Spokane. "The workshop could be of use to people of all ages." Consider it for yourself or a friend when it is offered again on September 25-27. Community Social – Our 20th annual Strawberry Social was a hit once again, with music provided by the local community band, used book sale, organic strawberry shortcake, tours, lots of mingling and viewing of the Online Art Auction. The used book donations brought in almost $700 for the Crawford Bay School lunch program. Visitors enjoyed shopping in the Bookstore and donated generously to the Temple Fund. Look through the photos on Facebook for the full story. Swami Radha encourages us to continue expanding and deepening our practices with the Light and to look for the Light in all we do. We can renew in the Light any time, but with summer’s long daylight, the opportunity seems extra special. The following are some ways of deepening and expanding your own knowing of the Light, without and within. "The Light is always available to you, and you can make yourself available to it. The choice is up to you." (Swami Radha, The Yoga of Healing, p. 39) Make a list of the various ways you experience Light. Then take a walk – in nature or in the city. Look for the Light. Where do you see it, feel it, know it? Can you discover Light in new and different ways? Chant and reflect: What is the question I want to ask myself right now in my life? Do the Divine Light Invocation and put your question in the spiral. Stand in the Light for a moment afterwards and listen. Write your experience. Then focus on your breath, holding your question lightly in your mind. Once you establish an even rhythm, begin to inhale Light and as you exhale, absorb the Light. When you are ready, record any further insights about your question. Take time to let Swami Radha lead you through a deep relaxation (using her Relaxation audio). At the end, laying in the stillness, bring this thought to mind: "In that state of peace and quiet and inner harmony, one can perceive a vision of the Light. . ." (Swami Radha, Hatha Yoga the Hidden Language, p. 221) Write about your experience. Then ask yourself which of the internal fountains (peace, joy, harmony, etc.) speaks most to you at this time. How could you make it more alive in your life?